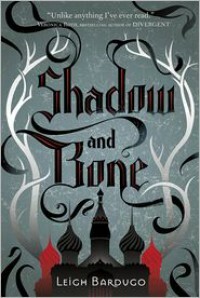 I don’t often see fantasy that’s based off of Russian culture so I was quite intrigued when I saw [b:Shadow and Bone|10194157|Shadow and Bone (The Grisha, #1)|Leigh Bardugo|http://d.gr-assets.com/books/1339533695s/10194157.jpg|15093325]. Unfortunately, this is a very predictable fantasy. It is also very standard YA fare full of the typical (and sometimes problematic) trends: mean girls, cardboard heroes, and heroines that are much too focused on their own vanity.I have to admit that I didn’t notice much Russian culture integrated into this fantasy world with the exceptions of some wonky names and maybe some clothing inspiration. Past that I really didn’t get a feel for the world. Much of the setting is pretty nondescript. You don’t get any real information about neighboring countries or even anything about the continent. The one place I did find interesting was The Fold. I wish more of the story had taken place there or there had been more mythos that was devoted to it. The “court intrigue”, yeah, I’m not seeing it. I know very little about what goes on at court other than makeovers for ~everyone~ and that the King is an adulterer (because he’s the king and he can or because the Queen is supposed to be “frigid”, I don’t really know, probably both and that he has a cryptic advisor who is a creepy stalker. There’s no real talk of politics or foreign relations. I don’t remember anything about heirs or the relationship between the Royal Family. Nor is there much insight into the relationship between the Royal Family and the Grisha. 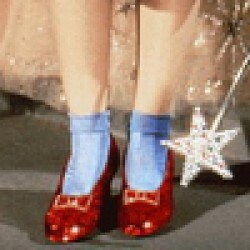 I did like the magic system. I like that it has a basis in science and essentially isn’t so, well, magical. I wish we got to see more of the magic system in action and gone more in depth about it because it is one of the more interesting concepts when it comes to the world building. Characters are what make or break the story for me. I can forgive a poorly done world if I can connect with characters on an emotional level. Sadly, this didn’t happen. Alina is our boring heroine who doesn’t really do anything. She pines for a boy who really isn’t into her in the beginning and moans on and on about not being attractive, but she doesn’t really care, y’all, even though she reminds you about it every other page. This is where one of those YA clichés comes in. Alina’s confidence in herself is directly related to her outward appearance. While she’s “plain” and unattractive she’s weepy and unable to take matters into her own hands. However, when revealed that, OMG, she’s actually super hot and totally irresistible she gains that confidence in herself and becomes one of those YA heroines that is totally not a damsel in distress. Not my kind of characterization.Another problematic YA trend present in this novel: Mean Girls. Alina has one girl friend that she often confides in. Just the one. And often they don’t talk about anything other than physical appearances, boys, gossip about other girls, or giving some bits and pieces of info on how the Grisha are supposed to act. All the other girls in the book are meant to be petty and “catty”. I’m sick of seeing girls portrayed this way in YA novels. I don’t know why this is so prevalent. Girls are perfectly capable of being respectful to each other even if they aren’t going to be friends. Perhaps that’s me being nit-picky but it bothered me for much of the book. The boys. Mal? Who’s Mal? Some tracker that’s supposed to be really good looking, I guess. I found him to be very underdeveloped. He wasn’t present for much of the story. That’s all I have to say about this cardboard hero. The Darkling. I saw it all coming. He was a shady character from the beginning and was one until the end, not much foreshadowing there. Another creepy love interest antagonist. The premise was interesting but felt contrived as I continued reading. This book was far too long to have so little world building and poor character development. I’m not sure if I’ll be picking up the sequel.